Posted on November 22, 2018 at 1:40 pm. 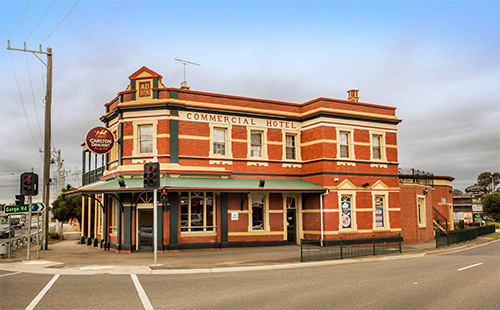 After years of legal wrangling to bring poker machines to South Morang’s Commercial Hotel, the owners have finally accepted defeat and subsequently withdrawn their Supreme Court appeal. The Australian Leisure and Hospitality Group (ALH) sought to move 20 pokies games from the company’s other Whittlesea venues to the Commercial, and to install an additional 20 machines. Earlier this year, ALH filed a Supreme Court appeal challenging a decision why an appeal to the Victorian Civil and Administrative Tribunal (VCAT) was rejected. In December 2016, the Victorian Commission of Gambling and Liquor Regulation (VCGLR) struck out an application by ALH after objections from Whittlesea council and the community. This led to the council refusing a planning permit for the poker machines to be introduced in 2017. The company, therefore, appealed the decision at VCAT, prompting an 11-day hearing. In December 2017, senior members at the tribunal, including Jonathan Smithers and Rachel Naylor, sustained the ruling by the commission, with emphasis on the negative impact of gaming machines. There is growing concern across Victoria about problem gambling, with pokies figures from regions such as Geelong and Dandenong showing sustained growth despite education and information about the addictive traits of gambling being more readily available than ever.